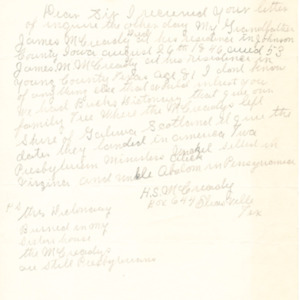 Letter from H.S. 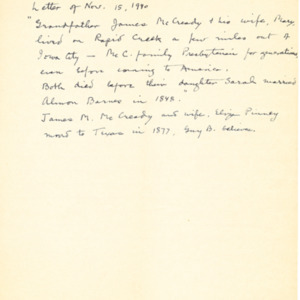 (Sherman) McCready to Jacob Van der Zee, relating details about the deaths of his father and grandfather, James McCready and James M. McCready. 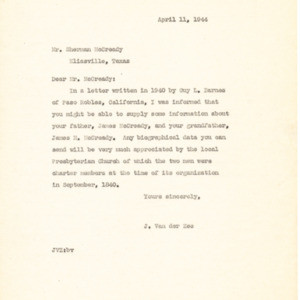 Letter from Jacob Van der Zee to Sherman McCready, asking for information about James McCready and James M. McCready, both founding members of the Church.